Buying your first home in Arizona? Check out our handy guide below. 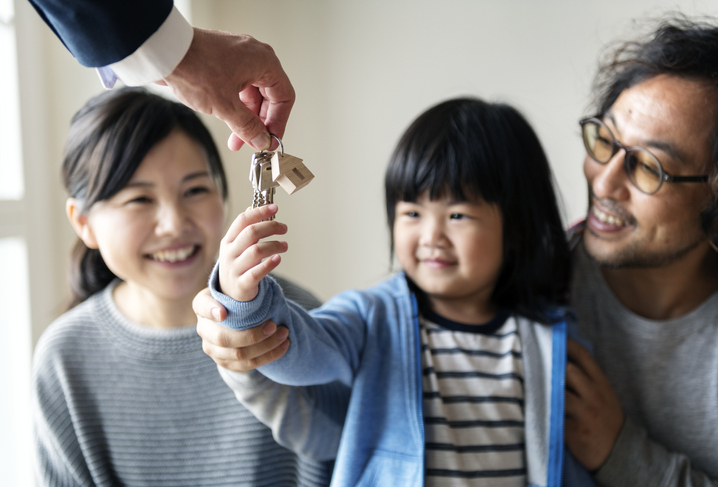 A home is one of the biggest purchases you’re ever going to make so before making any decisions it’s best to get your finances in order first. Take stock of your savings, income streams, outstanding debts, and debt-to-income ratio. Get a copy of your credit reports (it’s free) from Equifax, Experian, and Trans Union so you’ll see what lenders will see when they check your credit history. You can request your credit reports here. Comb through your credit reports and check if there are any errors – mistakes do happen and you don’t want them to have a negative effect on your credit scores. Report any errors to the relevant credit bureau as soon as you notice them. Here’s how. Sit down with a financial planner if you need more guidance. Consider getting pre-approved for a mortgage so you’ll have an easier time figuring out your price range. Having a mortgage pre-approval also gives you the advantage of appearing more serious to sellers. First-time homebuyers usually have trouble deciding on a house because they don’t have a clear idea about what they want. Before you embark on your search for a new house, make a list of things that it must have. Include details such as the number of bedrooms, whether or not it needs to be close to schools/work, and the neighborhood features you don’t want to do without. As you create your list, keep in mind that your home needs to align not just with your current needs, but with your goals and future plans as well. Avoid first-time home buyer mistakes by hiring a real estate agent. Your agent will guide you through the buying process – from open houses to offers, negotiations, and beyond. With the right real estate agent by your side, you’re sure to make well-informed decisions every step of the way. We’re not just talking about the house itself. When buying a home, it’s important that you also shop around for your ideal neighborhood and mortgage. Neighborhoods that are right next to each other can have very different amenities, school districts, walkability scores, etc., so it’s best to do your research. This is particularly true here in the Phoenix metro area where brand new developments and well-established neighborhoods sit side by side. Just as important as the home and the neighborhood is the mortgage you’ll be taking out. Go mortgage-hunting so you get the best deal possible. Take a look at the Consumer Financial Protection Bureau’s nifty guide on exploring your loan choices. All this may seem like a lot of work at first but the payoff will be worth it! You’re going to be reading and filling up quite a few forms – take your time; don’t rush. Remember that your purchase offer, once signed by the seller, becomes a legally binding contract, so you don’t want to be skipping over any details. To give you an idea about what to expect, check out this sample purchase contract form from the Arizona Association of Realtors. Need help finding the right home in South Scottsdale, Paradise Valley, or Central Phoenix? Get in touch with Urban Luxe Real Estate today and discover your real estate options in the area. Give us a call at 480.359.6519 or email us at info(at)urbanluxere(dotted)com.